THE THREE HAWAIIAN GRACES, 1988 (6’ by 4”) is a beloved, delicate glaze painting in the permanent collection of The Hilton Waikoloa Village on The Kohala Coast. Throughout time, many artists have created a Three Graces or Three Muses representing the angels of inspiration...the muses that inspire artists’ authentic work. Authentic creative expression work derives from Being, from that realm which is bigger than and beyond the capacity of the ordinary mind. This work symbolizes, acknowledges and gives gratitude for the inspiration from Being, the whispering of imagination to the artist’s heart of desire to create and express that, which is longing to be expressed in this time. Since such works of art emanate from the subtle inner voice, they can lift the heart and mind to ever higher realms of thinking and being in the world. In Greek mythology, the graces were known as Charities (Χάριτες) goddesses of charm, beauty, nature, creativity and fertility. They ordinarily numbered three; from youngest to oldest, they were Aglaea ("Beauty"), Euphrosyne ("Mirth"), and Thalia ("Good Cheer"). 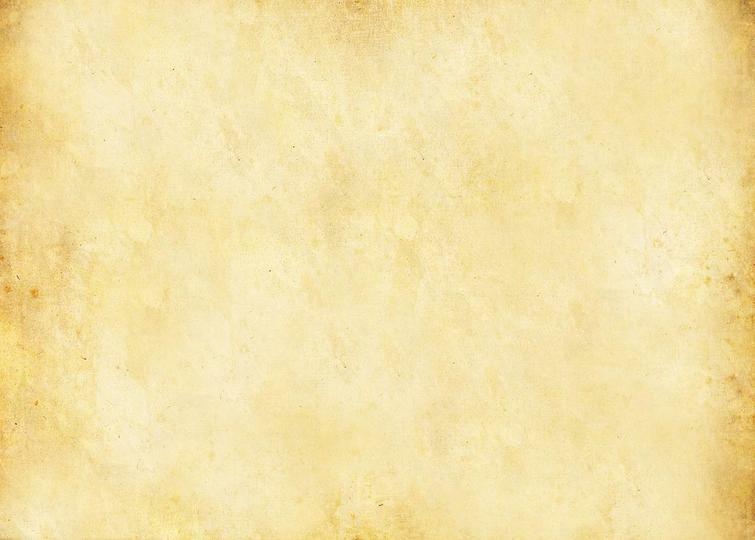 In Roman mythology they were known as the Gratiae. The river Cephissus near Delphi was sacred to them. After painting seven large classical Italian Renaissance studies including Botticelli’s Three Graces at Trattoria Restaurant in Waikiki on the island of O’ahu, Calley kept “seeing” a Hawaiian three graces (ah, the muses!). 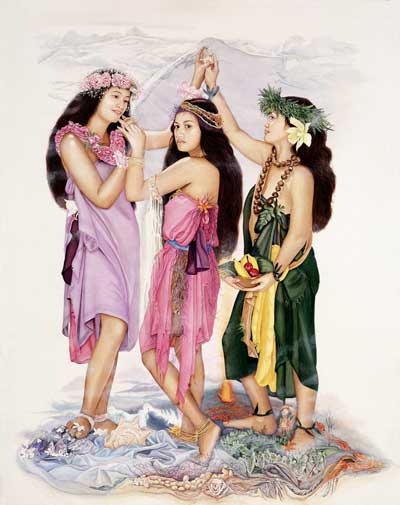 Immediately upon completion of the Trattoria works, Calley was commissioned by The Hilton to paint THE THREE HAWAIIAN GRACES for their permanent collection. It is a favorite in their museum walkway. Hawai’i is known and loved as a paradise, the world over, and this work expresses this love as the elements of nature, the magnificent manifestation of Divine Grace. The Artist invites you to find Earth, Air, Fire and Water and enjoy their relationship to each other in the context of this island born of fire in the middle of the sea, farther away from any other land mass than anyplace on earth. May this work bring you and yours the peace and serenity of Hawai’I and through our individual peace and compassion may this world come to PEACE, tolerance and understanding.